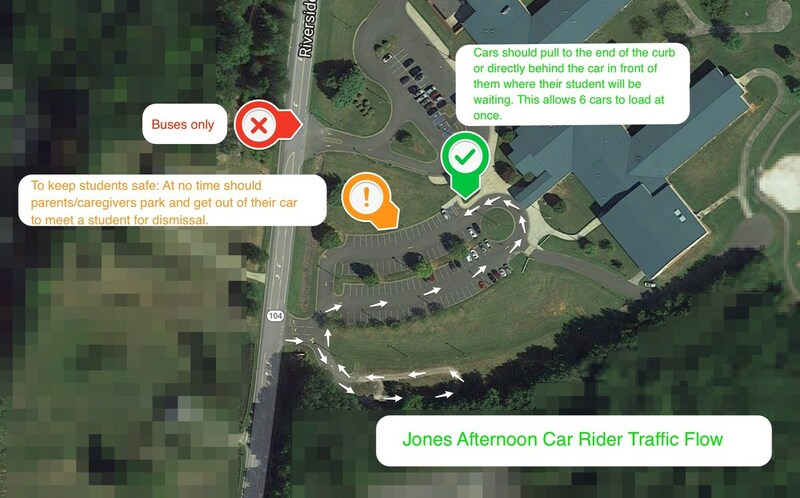 In order to keep students safe and make student drop-off/pick-up as efficient as possible, the following traffic patterns will be followed at each campus. These patterns were developed using observations over the past years, recommendations from law enforcement as well as parent, staff, and administrator input. For arrival: Car riders enter BHT from the Culbert Street side of the school. Cars will enter the lower driveway on Culbert Street where a police officer should be directing traffic. 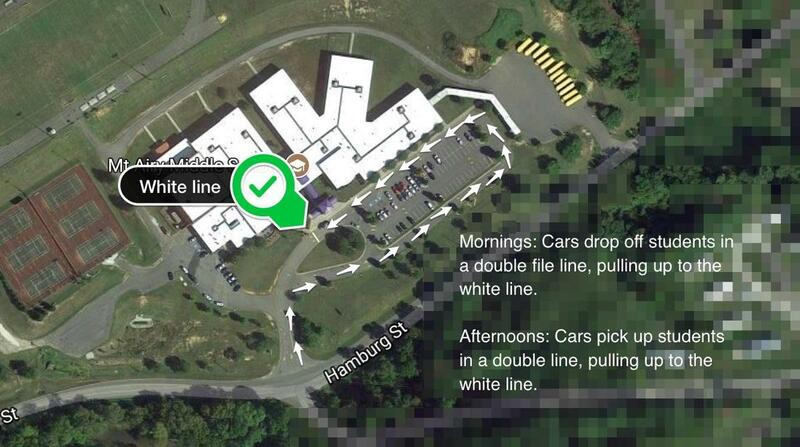 Cars will pull all the way to the end of the curb, next to the door, where a BHT staff member will greet students. For dismissal: Cars will enter the lower driveway on Culbert Street with their child's name card, to be received at Open House, displayed on the front dash. Staff members will call students and help them get into vehicles. To keep all students safe, parents choosing to walk and pick up their child from the car rider line will park in the Spring Street lot. School personnel will greet parents and radio for students. 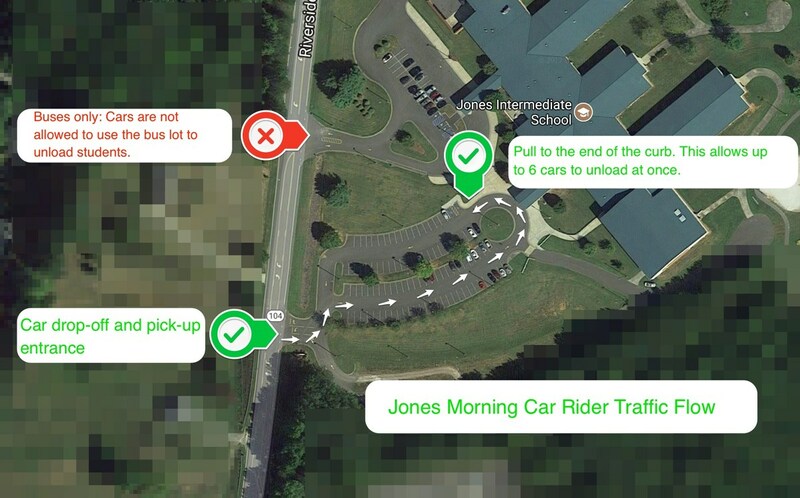 For arrival: Cars will pull in the main entrance and stop once they have reached the end of the curb, allowing up to 6 cars to unload at once. Cars are not allowed to use the bus lot for drop off. For dismissal: Cars will pull into the main entrance, turn right and follow the gravel path that leads back to the main walkway. Cars will display their student's placard that will help school employees assign students to the numbered pick up spot. Cars will pull to the end of the curb or directly behind the car in front of them. This allows for 6 cars to load at once. 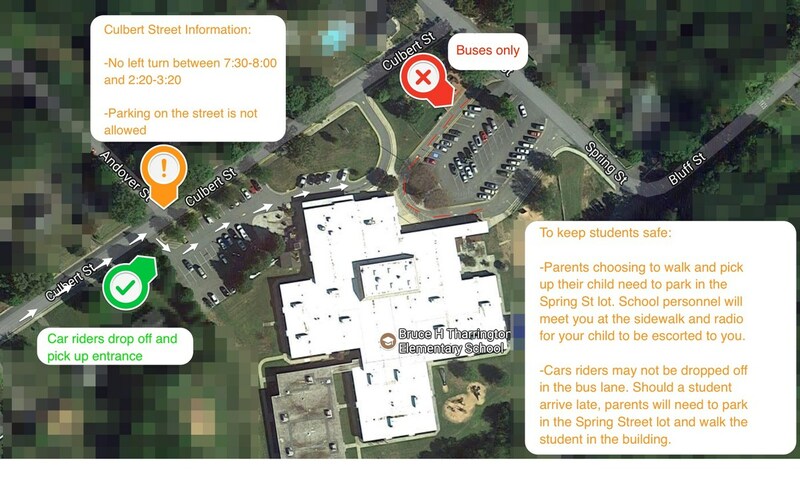 To keep students safe: At no time should parents/caregivers park and walk to meet their child. For arrival: Students will be dropped off directly in front of the main entrance in a double file line in the mornings. Parents are asked to pull up to the white line. For dismissal: In the afternoons, car riders will be picked up directly in front of the main entrance in a double line. Parents, again, are asked to pull up to the white line. School employees will be assisting students and parents at drop off and pick up. MAHS students are to be dropped off and picked up on the sidewalk that is on the school side of South Street. The traffic circle will be blocked prior to the start of school. Buses will drop students off in front of the Commons Area where students will enter the building. 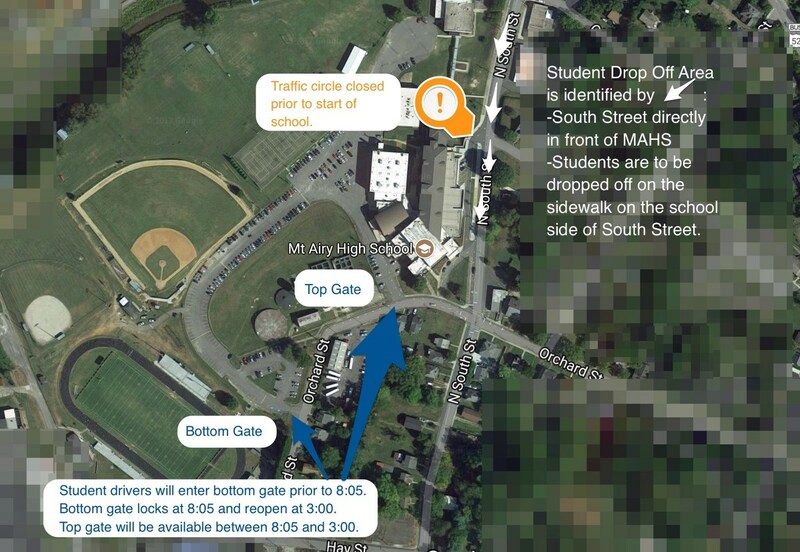 Student drivers will enter from the bottom gate prior to 8:05. The bottom gate will be closed from 8:05 until 3:00. The top gate will be open during these school hours.